When trying to figure out where you want to travel to, do you consider how much you may spend on a daily basis? If you’re only comparing flight prices between destinations, then you’re missing a big part of the equation. Yes, flights are typically the biggest trip expense (unless you are using miles), but how much you’ll spend on the ground can vary widely based on country or even city and that has a huge impact on your overall travel budget. To be honest, it wasn’t until we were trying to plan our budget for our Round the World trip that we started comparing other blogger’s average daily expenses to figure out how much it may cost to travel to a given country. Trying to estimate a daily average per country made the prospect of budgeting how much we were going to spend to travel for a whole year a lot more manageable and that concept can absolutely be applied to any trip. The trick is taking these averages and trying to extrapolate how much that may cost YOU to travel to that destination since it’s highly dependent on your travel style and what you choose to spend your travel dollars on. The figures in the chart below are for Jan and I traveling very much on a budget, but not on an extreme backpacker budget. For example, we opted for private rooms in a hostel, B&B’s or apartments, not hostel dorm rooms every night. However, what is much easier to compare is the relative cost between countries with travel style being constant. For example, if you’re debating between going to Italy and Croatia, you’ll notice that traveling in Croatia cost us 40% less per day on average compared to Italy! We probably splurged a bit more on food and wine in Italy, but that’s what you’re supposed to do in Italy! You can also see that Southeast Asia is the least expensive region we visited, so if you find comparable flights to Europe and SE Asia, you’ll definitely spend significantly less overall if you choose SE Asia. These daily average figures include intra-country transportation, accommodations, food, entertainment, etc. These expenses were incurred between August 2013 and August 2014 – if we went this year, we would have easily saved thousands of dollars with the more favorable exchange rates around the world! Dominican Republic – We stayed in an all-inclusive resort for a wedding, so this is a much different standard of accommodations compared to other countries. China and Canada – We were only in these countries for 2 days each. If we were there longer, the daily average would go down significantly. Norway, Turkey, Ireland, USA, and Vietnam – We stayed with family or friends (or used hotel points) for part of our visit. This made a HUGE impact to our budgets in the US and Norway in particular. Australia, Singapore, and Thailand – We stayed with family or friends the whole time we were in these countries, so these destinations will be more expensive on your own. However, Thailand is still tremendous value! Currency Exchange Rates play a huge role in how far your dollars will go abroad. For example, using the British Pound in Northern Ireland cost us significantly more per day than using the Euro in Ireland, even after factoring in staying with family for a few days in Dublin. Make sure to account for the exchange rate while budgeting for a trip. Visa costs – some costs you just can’t avoid, no matter how much of a budget traveler you are! Be sure to check visa requirements and costs before you book that trip abroad. It may cost you less to travel abroad than to travel domestically. Our numbers for the US aren’t reflective of the actual cost to travel since we stayed with friends and family for the majority of our time in the States. But the US is expensive. Fact: It cost us thousands of dollars LESS to travel around the world for a year, including Antarctica, than it does to live in Chicago for a year! In conclusion, when choosing your next travel adventure, make sure to consider the relative cost of your destination. If your head is spinning by all these facts and figures, let me do the number crunching and help you decide what the best travel destination is for you! 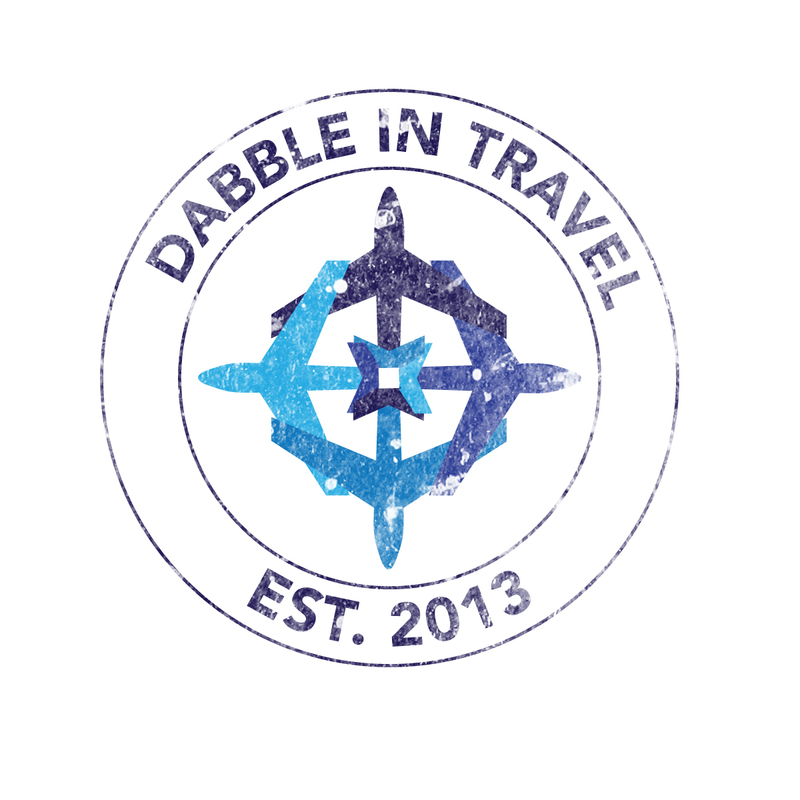 Contact me at susie@dabbleintravel.com for more info. Do you have any other tips for overall trip budgeting or comparing the costs of destinations? Include them in the comments! Wow! Very interesting chart! Thanks for sharing! This will help with future travel planning, for sure! Thanks Amy! I think it’s helpful to see a comparison of relative country costs since the cost of a plane ticket is only one piece of the puzzle in your overall travel budget!